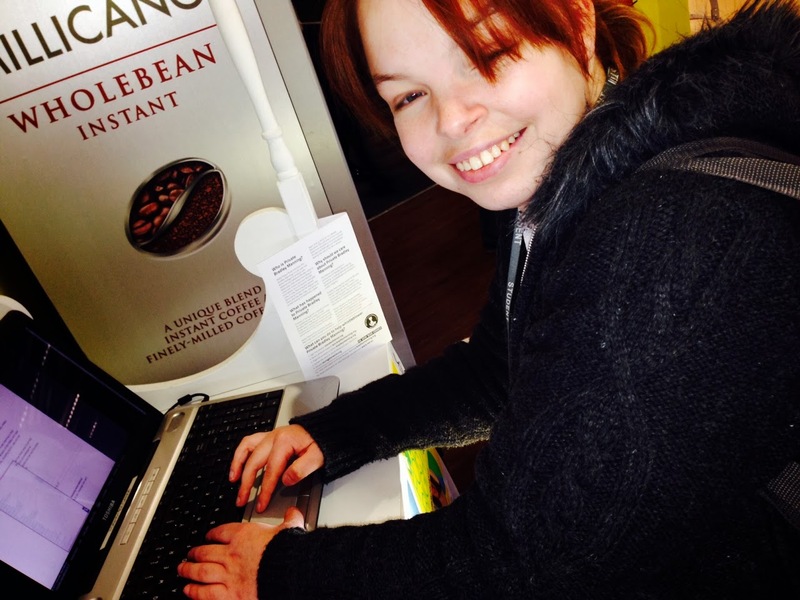 Welcome to the NULC Cross College Blog. 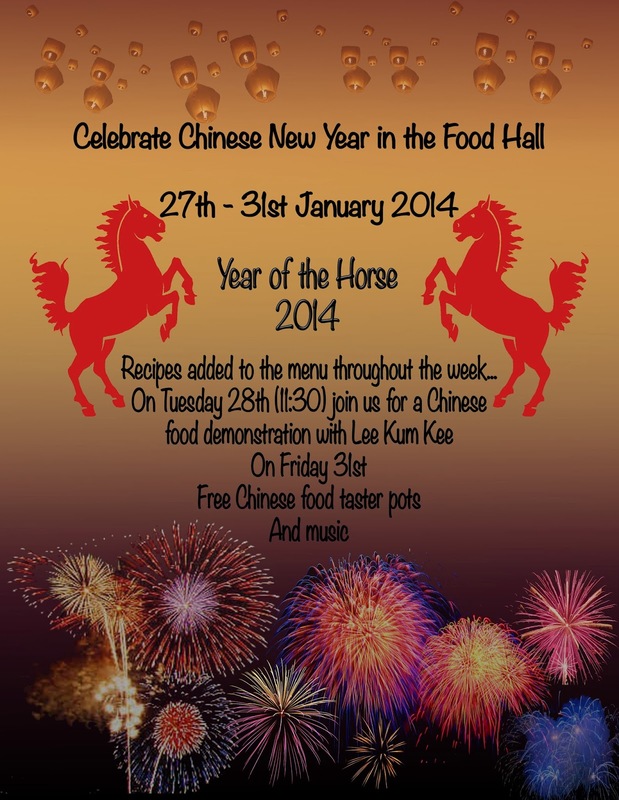 Here you will find all the latest news and images from NULC. 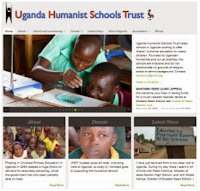 NULC is proud to be one of the supporters who have contributed to The Uganda Humanist Schools Trust, which has made great progress over the last year. UHST now has over 1,000 students being educated between the three Humanist Schools in Uganda. 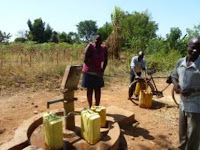 Over the past year £2,800 was used to provide learning resources for the schools and a further £4,180 was provided to purchase learning materials and equipment. 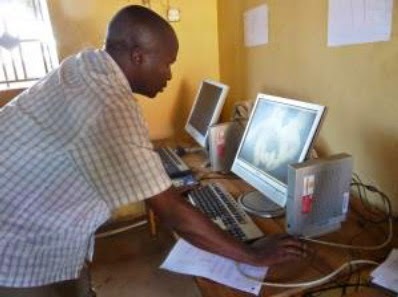 The computer networks were maintained which is an essential resource for students to use for Computer Studies as part of their National Curriculum. 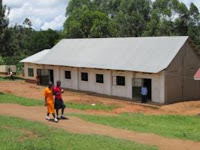 At the Isaac Newton High School in Kateera a great deal of work has been made to refurbish the school hall to meet the requirements set out by the Uganda National Examinations Board so students are now in the best environment to complete their exams. After a successful appeal, funds were generated for the construction of a boys’ hostel suitable for 50, the school decided to increase the build to be used by 96 with the extra cost being paid over three terms which shows the schools progress towards becoming self-sustainable. The Trust’s plans for the future include creating a sports field, library and increasing the number of computers available. By 2016 the Trust hopes to of helped Schools to become self-sustaining so they are able to cover their own running costs and are able to set aside budgets to cover the cost of repairs, maintenance and necessary new developments. 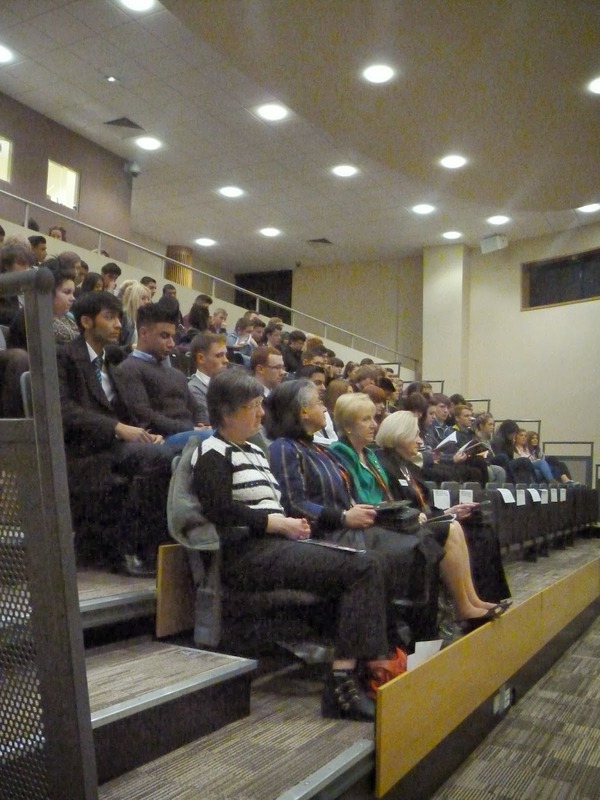 Challenged to explore gender equality, 3 groups of Business Students were tasked to put together a conference that championed local women and their business achievements. Theresa Kirkham Blair – Equality & Diversity Advisor and Alison Morgan – Unison Representative. To support our International Women's Day celebration, our local group of Soroptomists set up a stall in our reception to share information about their organisation. They spoke with students about the work they undertake to give women a voice locally and globally, through awareness raising, advocacy and action. On Valentine’s Day our students and staff shared the love and supported our Lesbian, Gay, Bisexual & Trans community in the Food Hall. They gathered to add their comments to our LGBT Chat Group's Banner. We’re all different in a good way. Everyone is equal, support LGBTQ! Some people are gay, deal with it! No one deserves to be judged. Everyone has their own rights! Love is love no matter what sexual orientation. and as a gift to all, we gave away wristbands, fluffy bugs and love heart sweets to serve as a reminder of this fun event. Special thanks go to our visitor and resident LGBT specialist Zoe Holdcroft of Stoke and Staffordshire Partnership NHS trust and Galaxy (LGBT Support project). 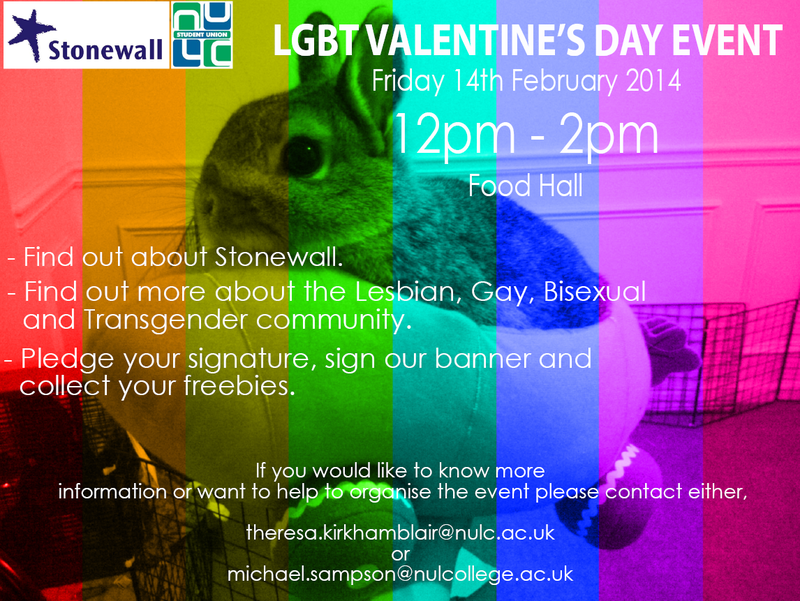 As well as our LGBT chat group and our Student Union for making the arrangements for this worthwhile event. 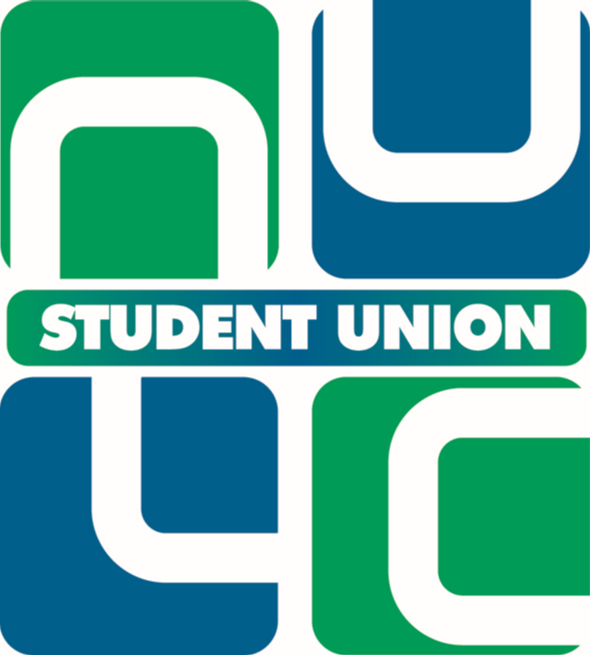 If you would like to find out more about any issues affecting the LGBT community, contact theresa.kirkhamblair@nulc.ac.uk or visit Learner Services on the second floor. 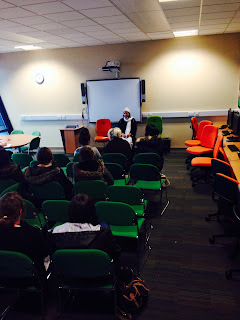 On Tuesday 17th December 2013 Students celebrated International Human Rights Day at NULC. Student Richard Steventon, a keen supporter of Wise Up Action http://wiseupaction.info/ , Nathanael Smallman, Ingrid Schwartz and the college’s Equality & Diversity Advisor Theresa Kirkham Blair set up a stall in our Food Hall to share information about International Human Rights day with students. They spoke about the need for all to be outspoken, to celebrate democracy and to challenge issues as they happen across the world so that we can change the lives of those struggling to a lead a life free from oppression. 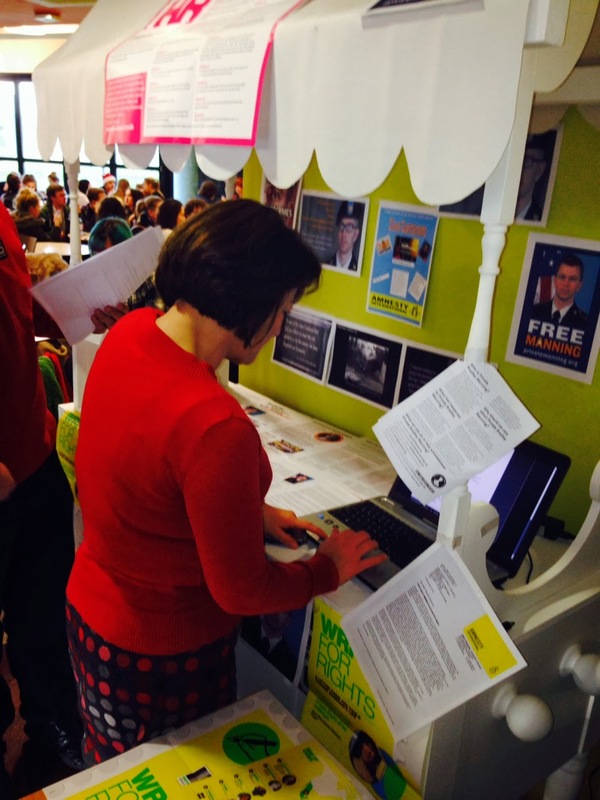 Students and staff signed Amnesty International’s online petition to pressure the American government to re-examine their imprisonment of Chelsea Manning, charged with leaking materials and information via WikiLeaks about crimes of war. Becky Evans signing Amnesty International’s Petition. NULC Staff members show their support. Ingrid Schwartz Music Student performed a piece she hopes to enter into Amnesty International’s Young Songwriters Competition, we wish you the very best of luck, well done and thank you! 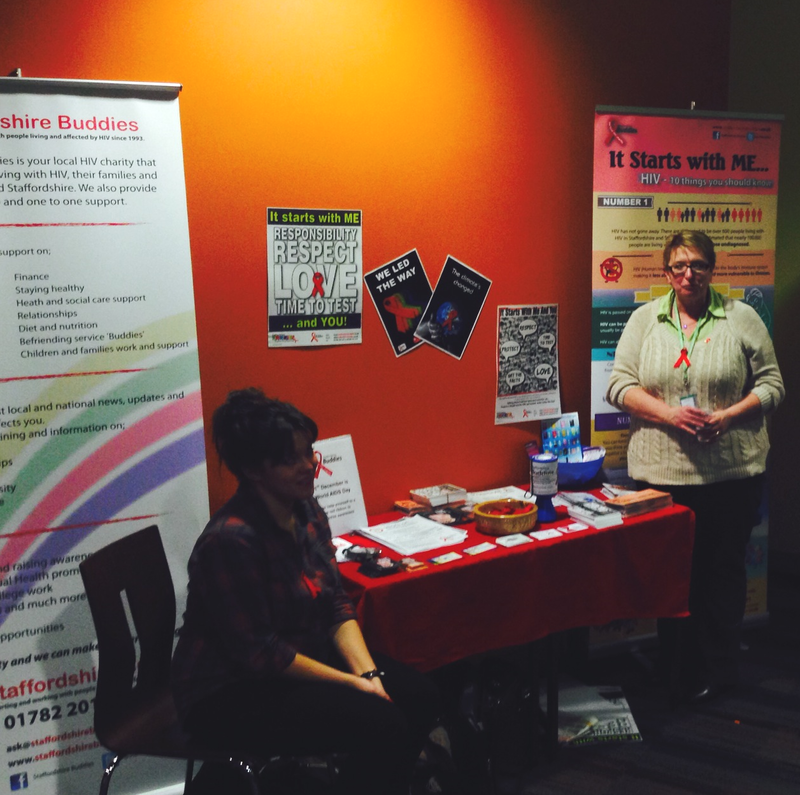 Foundation Degree student Carol Ashley and Health & Social Care student Corrina Screen, volunteered to share information to raise awareness for World Aids Day. Both Carol and Corrina volunteer for Staffordshire Buddies, our local HIV and Sexual Health charity. They spoke with students who visited the food hall, helping them to understand the ways they can stay safe today and in the future, informing them of the developments in medication and reduction in the number of people contracting HIV in North Staffordshire and across the world. An Islamic Scholar attended college to meet four groups of Early Years students as part of the college’s celebrations to mark National Interfaith Week 2013. Isa converted to Islam in 2009, lives in Middlesbrough and was born to an English father and a Greek mother. He is a graduate in Biomedical Science and is currently studying Law, as part of his pursuit for a greater understanding of his faith, he performs at a variety of speaking events across Britain, meeting people of all faiths and none to explain Islam and help communities to understand his religion. Students had the opportunity to ask about the requirements Islam places on those who practice it and on the community as a whole. Isa helped students to explore what following his faith meant for the practices he undertook during his day to day life. He explored the Quran, its intent and the ways that this would impact the families students will meet as they gain employment and provide services to the community as Early Years/Childcare providers. Isa answered questions regarding the need for food to be Halal, women and their cultural dress and their position in the family, the right to access medicine, arranged marriages, whether he is allowed to celebrate Christmas, where cultural and religious boundaries overlap, the variety of interpretations of the Quran and the reality of what it is to be a follower of the faith in a modern British society. is a highly successful college in North Staffordshire, with pass rates and student success levels amongst the best in the country.